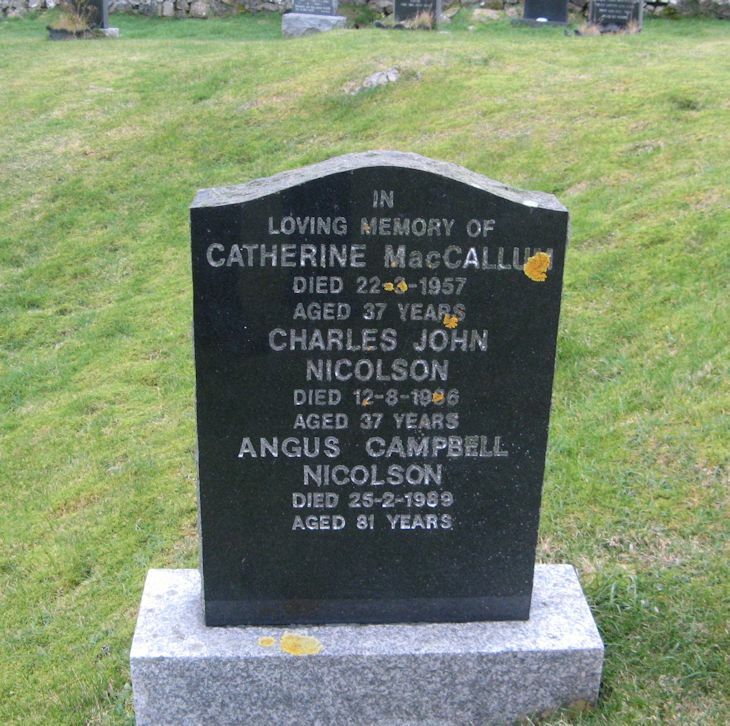 Skye Gravestones | Catherine MacCallum, Charles & Angus Nicolson. Catherine MacCallum, Charles & Angus Nicolson. In/loving memory of/CATHERINE MacCALLUM/died 22-3-1957/aged 37 years/CHARLES JOHN/NICOLSON/died 12-8-1986/aged 37 years/ANGUS CAMPBELL NICOLSON/died 25/2/1989. This has been updated Christine. Added by Roddie Macpherson on 15 April 2018.